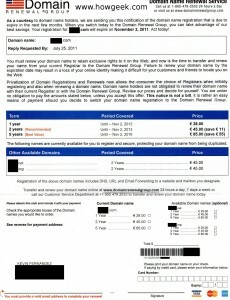 The domainrenewal (domainrenewalgroup.com) scam | HOW GEEK! OK this is already everywhere on internet for years, but i really had to write a post about it as these guys are spamming my mailbox every year. 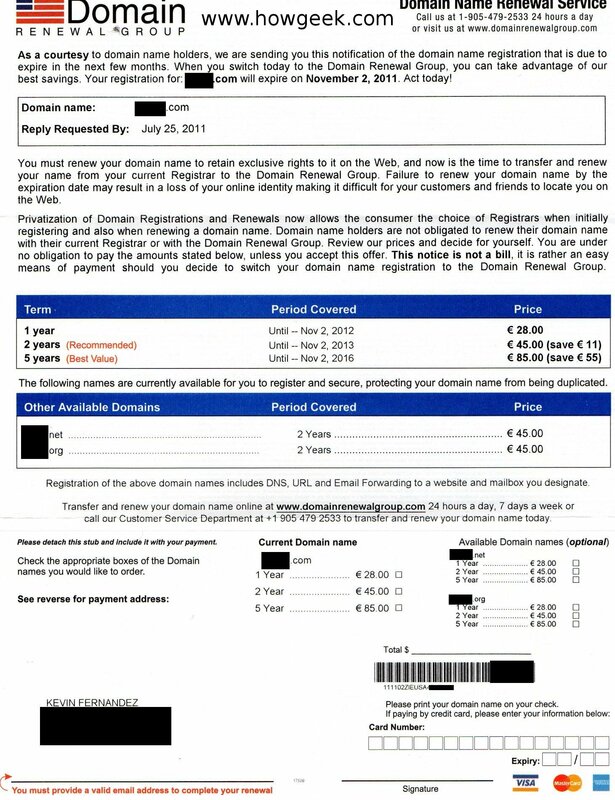 This company is trying to convince people into believing they need to renew (and obviously transfer) their domain names with them. Their paper looks very professional, and they are still active, which means they might be making some good money. Also their website is www.domainrenewalgroup.com (no way i hard-link this s***), and their former name was “Domain Registry of America”. $_SERVER[‘HTTP_X_FORWARDED_FOR’] returns multiple IPs, what to do? xauth + (X11Forwarding Yes and X11UseLocalhost yes) == Still no Forwarding ?